Sarah Nader- snader@shawmedia.com Barrington's Jenna Szczesny tries to direct the ball past tries to direct the ball past Huntley's Kaitlin Costantino during the secod half of Tuesday's 3A Barrington Supersectional June 2, 2015. 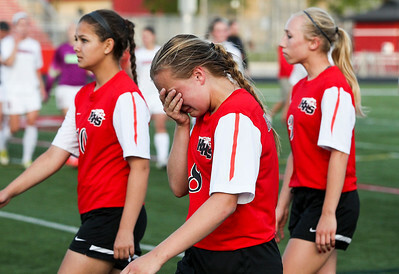 Huntley lost, 3-1. 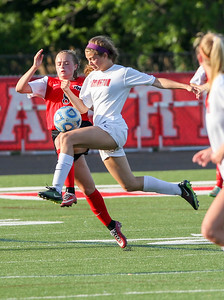 Sarah Nader- snader@shawmedia.com Huntley's Taryn Jakubowski heads the ball during the second half of Tuesday's 3A Barrington Supersectional against Barrington June 2, 2015. Huntley lost, 3-1. 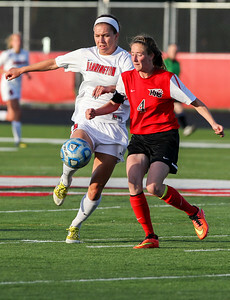 Sarah Nader- snader@shawmedia.com Huntley's Abigail Nordeen (left) make contact with Barrington's Kelsey Muniz while trying to take control of the ball during the first half of Tuesday's 3A Barrington Supersectional June 2, 2015. 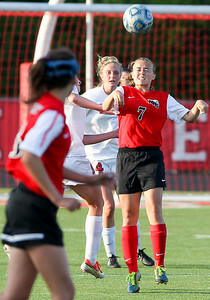 Huntley lost, 3-1. 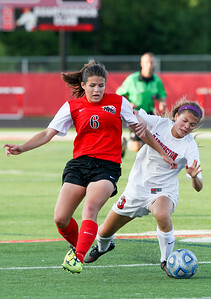 Sarah Nader- snader@shawmedia.com Huntley's Delaney Loprieno heads the ball during the second half of Tuesday's 3A Barrington Supersectional against Barrington June 2, 2015. Huntley lost, 3-1. Sarah Nader- snader@shawmedia.com Huntley's Paige Renkosik dives to block a ball during the second half of Tuesday's 3A Barrington Supersectional against Barrington June 2, 2015. Huntley lost, 3-1. 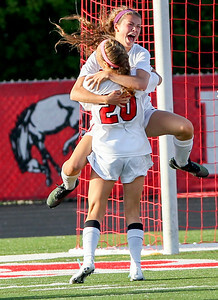 Sarah Nader- snader@shawmedia.com Barrington's Kelsey Muniz (back) celebrates with Barrington's Ann Marie Nire after scoring during the first half of Tuesday's 3A Barrington Supersectional against Huntley June 2, 2015. Huntley lost, 3-1. 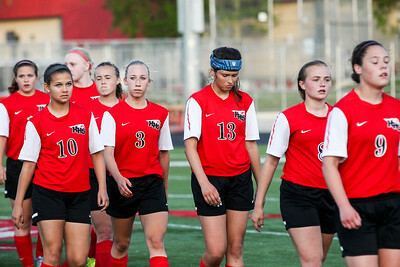 Sarah Nader- snader@shawmedia.com Huntley soccer players walk of the field after losing Tuesday's 3A Barrington Supersectional against Barrington June 2, 2015. Huntley lost, 3-1. Sarah Nader- snader@shawmedia.com Huntley's Alyssa Kaufman (left) and Barrington's Kelsey Muniz collide while trying to control the ball during the first half of Tuesday's 3A Barrington Supersectional June 2, 2015. Huntley lost, 3-1. Sarah Nader- snader@shawmedia.com Huntley's Alyssa Kaufman (center) walks off the field after the team lost Tuesday's 3A Barrington Supersectional against Barrington June 2, 2015. Huntley lost, 1-3. 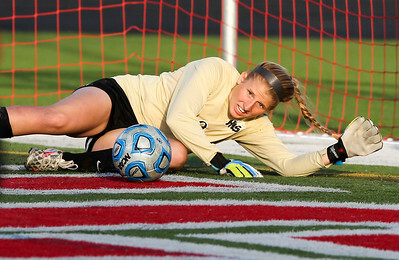 Huntley's Taryn Jakubowski heads the ball during the second half of Tuesday's 3A Barrington Supersectional against Barrington June 2, 2015. 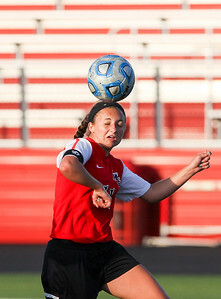 Huntley lost, 3-1.